The Iowa STEM Teacher Externships Program aims to help teachers answer that age-old question. 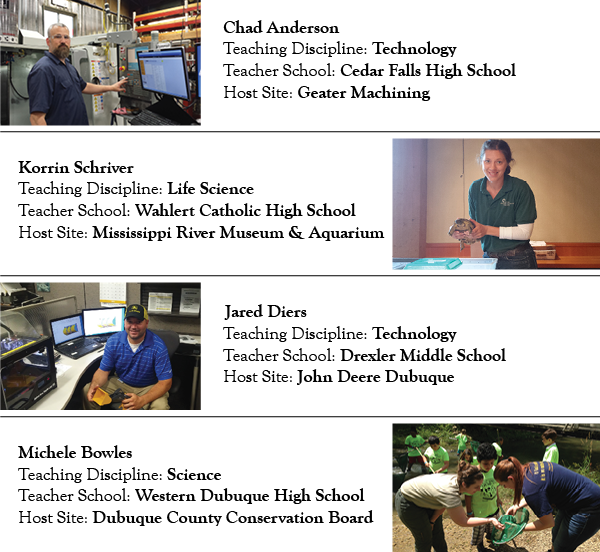 During the summer, educators work side-by-side with knowledgeable and skilled industry employees who help bring the classroom curriculum to life. 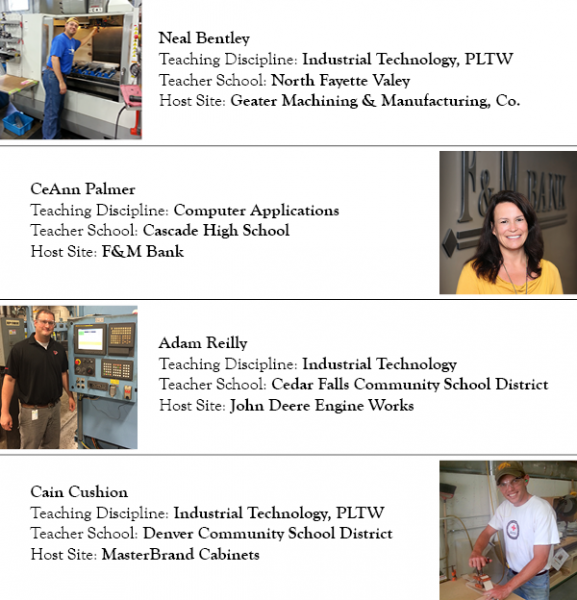 Iowa STEM Teacher Externships Program provide educators with the exposure to answer questions about real-world application, prepare students for careers they may have in the future, and improve educational experiences. Teacher Externships began in the summer of 2009 with a few goals in mind. Please contact info@iowastem.gov for additional information.